While I am preparing for the Declare Conference (www.declareconference.com) this upcoming weekend, I am thrilled to have my pastor’s wife, Vela Tomba, guest posting this week. Vela is an authentic, creative and hilarious woman of God. 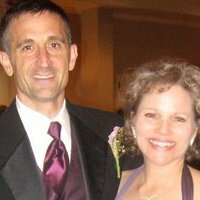 She shared her “hoop-o-logy” with me and it has transformed the way I view all relationships: my kids, my husband, my friends, my family… Without further ado, welcome to Vela! That isn’t your hula hoop. You need to stay in your hula hoop. She was referring to the fact that I was meddling in, overly concerned with, & obsessing over my daughter’s life. That phrase “not my hula hoop’ stuck with me, followed me around and gnawed at me. I turned it over and over. I began to see it everywhere. I noticed it in the Bible. I saw it in healthy relationships—people staying in their hula hoops. I developed a hula hoop-o-logy. A hula hoop is something that indicates a border or limits. Sort of like a boundary but hey– hula hoops are so much more colorful and fun! -accepting God’s limits for who I am, where I end, and where another person starts. -doing what He has called me to do inside my sphere of influence—inside my hula hoop. -not meddling in someone else’s hula hoop. Everyone has a hula hoop. Just one. We are responsible for just our hula hoop. As a mom, sometimes I get the wrong idea that I am in charge of my kids’ hula hoops. When I interfere in my kids’ hula hoops, things usually go badly. When my kids were little, our hula hoops overlapped some. As they got bigger, they were able to spin their own hoops with amazing skill–when I let them! Staying out of my kids’ hula hoops gives them the freedom to become responsible adults. Staying out of my kids’ hula hoops can be as simple as letting them complete their homework on their own and not jumping in to make the project even better (oh yes, I did this!). I remember one assignment my daughter had for a social studies class. I had a great idea for a way to make it more creative: make it a newspaper with different articles, columns and editorials that covered all the aspects the essay was supposed to include. The teacher didn’t appreciate the creativity AT ALL! She barely got a passing grade! Fortunately for my daughter and me, I stopped short of interfering and did not email the teacher to protest the grade. Lesson learned: stay out of children’s hula hoops pertaining to school. I also had to learn to stay out of my kids’ hula hoops when it concerned bigger issues. My kids have to learn to handle the big stuff… and I have to step out. At some point, they decide who their friends are, who they date, where/if they go to college, what major to pursue, who they marry, where they live…and the list goes on and on. My relationships with my now adult daughters and my sons-in-law are so much better because I have learned to stay in my hula hoop and out of theirs. I work hard to give advice ONLY when asked. It can be challenging for a self-professed expert like me. 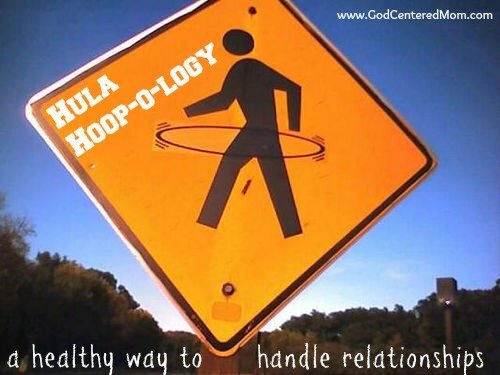 I can most easily stay in my hula hoop when I have the right understanding of who God is. Trusting Him. Knowing Him & trusting His lovingkindness for me…and for my children. Will you stay in your hula hoop with a right perspective of who I am and who you are? Will you trust Me to take care of the stuff that is outside of your hula-hoop? I’ll tell you I’ve even found Vela’s hoop-o-logy helpful in training one of my sons on handling relationships. Sometimes he wants to jump in and rescue someone when he should let them solve their problem. He has a good heart and desperately wants to help others. It’s been great to use the simple phrase, “stay in your hoop” to help him realize the problem he wants to help out with is not his responsibility to solve. Do you struggle to stay in your hoop or stay out of others’ hoops? Good stuff! Love this and it will save me so much trouble and heart ache. Thanks for sharing your heart Vela. Good wisdom! Yes! Best tool that our marriage counselor has taught us. Love you, Vela. Vela The Brilliant. So biblical. So wise. So hard. Wow, this is great stuff! Wish I knew about my hula hoop a long time ago. But it is never too late to start.